Not all electronic music is created equally. The first thing a casual listener should understand is that there are several different styles of electronica music, ranging from shoegaze to downtempo chillwave jazz, to house, dubstep, EDM, and so on. These sub genre tags are somewhat *hazy at best, so it is important to listen to a producer or artist before buying so that you know what you are going to get. That is one of the great things about blogs. German producer Julian Prott, also known as Hazy Mountains, has just released a new full-length album entitled "Breeze". This effort is a follow up to the EP "Lapiz Lazuli". It is an excellent listen, showing massive improvement from the aforementioned EP. This is not to say that "Lapiz Lazuli" was bad--in fact I found it impressive. 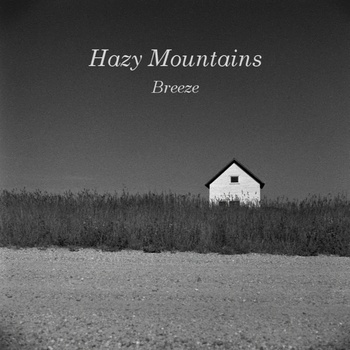 "Breeze" presents a fuller sound with harmonized samples and electronic noise against an ambient backdrop of atmospheric reverb. Distorted and sometimes layered female vocals find their way into the mix from time to time, yet are brief enough to allow the music itself to breathe. "Breeze" also shows a strong progression toward a more chillwave-oriented sound with low-tuned grooves and consistent drum beats. Behind the noise, beats and samples lies a well-rounded ambient disc that is packed with more atmosphere than many post rock artists dare to incorporate. This sound is much more layered, deeper, and more interesting than "Lapiz Lazuli". If you are in the market for ambient downtempo electronica, picking up this disc is essential. This is an excellent listen worth of the five Euro download price (via bandcamp, which uses a PayPal setup). The entire album is streamed below, courtesy of the Hazy Mountains bandcamp page. Thank you for reading and enjoy!